Email. 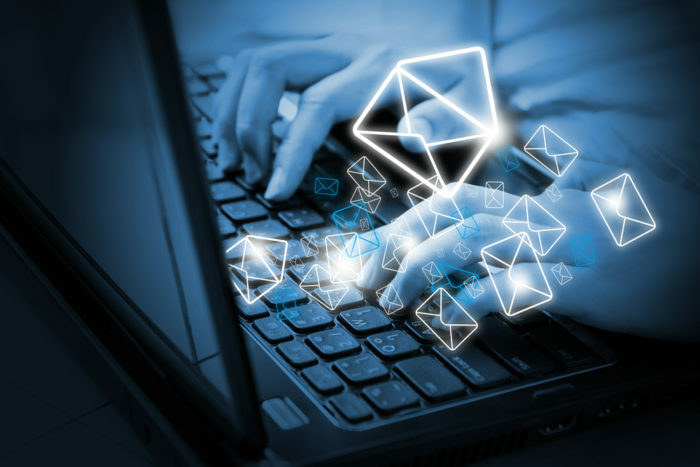 No matter how many people try and tell us it’s dead, the fact of the matter is email is still a necessary part of our day-to-day lives as recruiters, and will probably continue to be for a number of years to come. The main problem with email these days is that we’ve become slaves to it. We hear a ping and we’re straight back to it, no matter what we’re doing. It’s a distraction that divides our focus and kills often our ability to do get stuck in with more productive tasks. Sidekick is one of our absolute favorite tools here at Social Talent. We’ve been using it for years, so believe us when we say, its value is incalculable! Sidekick is an email plugin that works for Gmail, Outlook and AppleMail, that tells you (in real time) when the emails you’ve sent are opened by their intended recipient. It’s also able to tell you when any attachments you included in an email are downloaded and read, and when any links you’ve chosen to share in your emails are clicked. In a nutshell, Sidekick gives you incredible intelligence on the emails you send. And particularly if it’s prospective candidates that you’re emailing! Think about it! If you’ve reached out to a hot candidate via email, when Sidekick tells you exactly when they open it, you can use that information to create a “serendipitous” moment by picking up the phone and giving them a call a few minutes after they’ve read it. When they answer you can ask them, “Hey, did you get my email?”. Chances are they’ll say “Yes, I just opened it!”. Bingo! You’re in. And the whole thing looked like it was fate on the candidate’s side, because they’re completely unaware that you have tracked their email. And the best part is, Sidekick is available to use for free for up to 200 notifications a month! Alternatively you can pay $10 a month for unlimited tracked emails, but we recommend being selective with the emails you track, and sticking to the free product. This social email tool is so good, LinkedIn bought it a few years back! Basically, Rapportive socialises your Gmail by replacing the ads Gmail normally shows in the right hand sidebar with detailed social information about the person you’re emailing or have recieved an email from. Yes, as long as you have your LinkedIn account open in another tab while using your Gmail account in another, Rapportive will scrap LinkedIn for any social information about the person you’re emailing or have received an email from – their job title, their profile photo, the company they’re from, where they’re from, any social media accounts associated with their LinkedIn account (e.g. Twitter and Skype), and crucially whether or not you are connected with them on LinkedIn. If you’re not connected with them on LinkedIn for whatever reason, you can use Rapportive to send a connection request to them from within your Gmail account without having to leave Gmail. It’s really simple, and really genious! One of the biggest cardinal mistakes you can make as a recruiter, is forgetting to follow up with candidates you’ve reached out to. We’ve all done it, but FollowupThen is here to unsure you never do it again! How can it ensure this? Right from within the candidate email itself, my friend! All you need to do to take advantage of FollowupThen, is BCC @followupthen.com when emailing a candidate and it will automatically remind you to follow up with that person at a time and date you’ve specified. To do this, all you need to do is determine the day, time or frequency of when you would like to be reminded to follow up, then BCC your candidate email with that email address. For example, if I want to remind myself to follow up with a candidate next Wednesday, at the same time I’m emailing that candidate, I’ll BCC nextwednesday@followupthen.com. If I want to remind myself to follow up with Johnny about our recruitment training course on March 31st at 2:15pm, I’ll BCC 31March215pm@followupthen.com. Heck, if you’d like FollowupThen to remind you to send your wife flowers every Valentines Day just send an email to every14Feb@followupthen.com with “Valentines Day Flowers” or something similar in the subject line! No messing around, no third party extensions, just set your reminder date right within the initial candidate email and Bob’s your uncle. Setting a follow up reminder couldn’t be simpler or more precise. Email signatures can be exceptionally boring and in many cases, exceptionally ugly. So, if you’re looking to stand out as the go-to recruiter, in a sea of everyday recruiters emailing prospective candidates, be the one with the awesome email signature! WiseStamp lets you get creative with your email signature by allowing you to add pictures, choose fonts, play around with font sizes and colours, add links to your social profiles, and even include an RSS feed that displays your latest blog posts! And it’s as easy to do as fill in the blanks. It works for Gmail, Yahoo Mail, Hotmail and AOL, and the basic version is free to use. Found yourself somewhere without LTE or wifi and need to check your emails? No worries, you have Gmail Offline installed on your browser! Gmail Offline does exactly what it says on the tin – it lets you access your Gmail inbox even when you’re offline. To start Offline Gmail after installing, open a new tab in Chrome. In the new tab, you will see a Gmail Offline Icon. Click on the icon, and Offline Gmail will load. Simples. If you’re anything like me, then over the course of your emailing life you’ve signed up to one of two (read: hundreds) of newsletters, daily deals sites and subscription services – all of which you now receive a daily clatter of annoying emails from. But let’s face it, you’d rather poke your own eye out then have to go through each and every one of those emails and click unsubscribe. Well, Unroll.me has the answer to all your unwanted subscriber problems. By scanning your inbox for any and all subscriptions, Unroll.me allows you to clean up your inbox by making it possible to mass unsubscribe from the ones you don’t want, and combing your favorite subscriptions into one, easy-to-read daily email digest at a time of your choosing. It’s as wonderfully uncomplicated as that. This post originally appeared on the Social Talent Blog. Siofra is a Digital Marketing Executive at Social Talent.